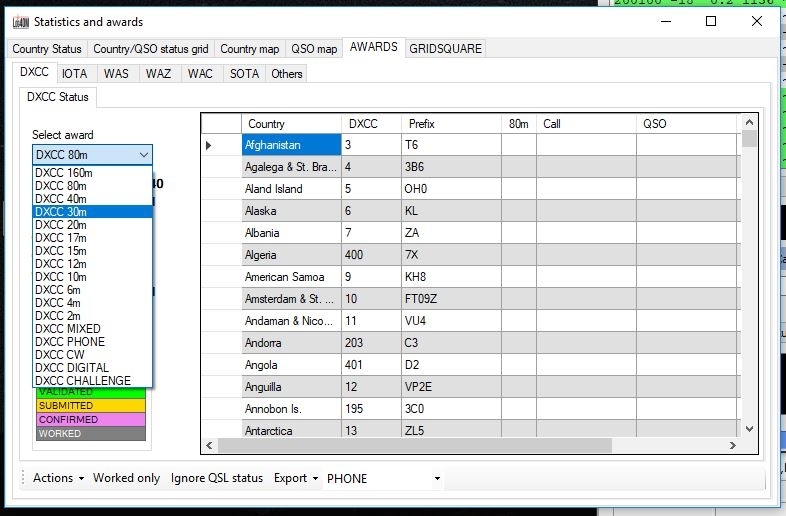 When I want to look for my DXCC status the 4m band is not showing, it's showing in the grids and in my settings it's checked. 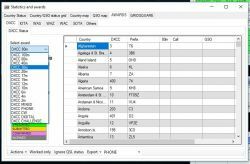 How can I see my DXCC status on 4m ? I had the same problem and edited awards.xml , now i can select the 4M band in the DXCC award status. But LOG4OM is acting strange. i tried to add the 4meter band to all award sections in the "awards.xml" file , but then things got broken and i was not able to select anything. Strange is also the 70cm band is not declared anywhere in the "award.xml" file , however it is showing up in the DXCC MIXED status and other MIXED awards, but i was not able to get the 4 meter band show up there. That is between 6 meter en 2 meter award section, and now i can select the 4 meter band from the DXCC status dropdown menu. If you try this , please make a copy of your "awards.xml" file first, so you can always go back to the original version. You just found a bug and it must have been like this for ages! Hallo. I have the same problem with 60m band. How can I add it to this list below ? I don't believe that Dxcc incĺudes 60m, perhaps Chuck can advise? Correct, 60m is not valid for DXCC.